It is safe and reliable in operation,capable of turning out high quality products with consistency. Widely used in military field,Prisons,Detention houses, Government Buildings, National Security Facilities. Used for producing single-stranded barbed wire. The machine is mainly featured by material economization, easy operation and low noise. 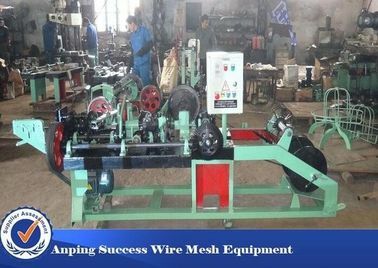 Barbed Wire Machine Barbed Wire Machine is designed to produce screens with single or double-stranded barbed steel wire,thermo-plated with zinc.The machine is of horizontal design,consisting of two parts,assembled together at the middle. 2. 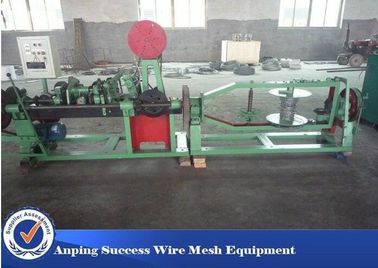 The machine is compose of spool wire and twist wire two parts. And the machine is fitted with four disks for wire rewinding. The machine is coordination of various components ,gentle movement. Fencing of Residences,Villa Wall and Windows,Express Way,Railway,National Border Lines. 1. 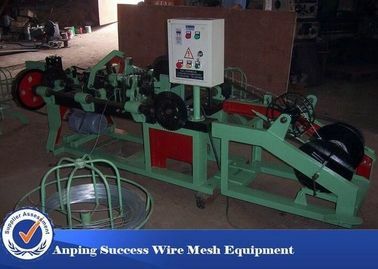 The machine is compose of spool wire and twist wire two parts. And the machine is fitted with four disks for wire rewinding. 2. The machine is coordination of various components ,gentle movement. 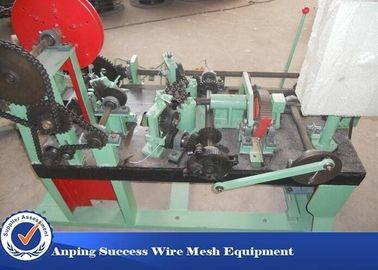 The machine is mainly applicable to the production of a variety of multi-strand barbed rope. The usage materials should be consistent with stable, flexible operation and reliable. 2. Enough spare parts of machines could be supplied. 3. Factory Own Designing and Inspection Team. 4. All machines were tested and adjusted before delivery. 5. Engineers avaliable to service machinery overseas: Worker-training, installation.etc. 6. 24 hours technical support by e-mail or calling service. 1. 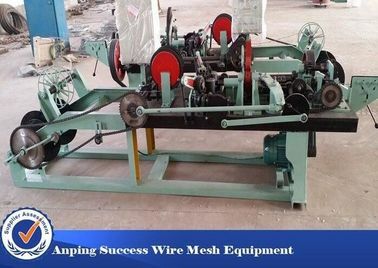 Barbed Wire Making Machinery For making 2-strand 4 barbed points barbed wire, high speed in output, rach to 33 linear meters / minute around 140kgs / per hour. 2. Easy operate and maintenance. 3. 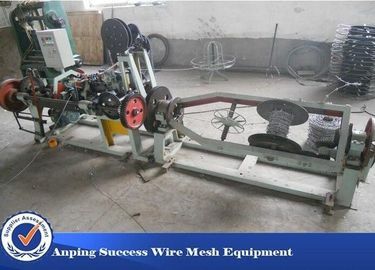 Same machine for making different wire materials, including stainless steel wires.